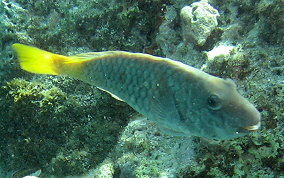 Although known by both names, the Yellowtail Parrotfish is now categorically to be known as the Redfin Parrotfish. 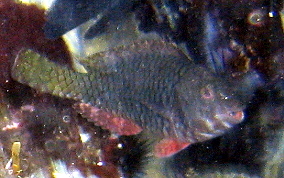 They are not two separate species. 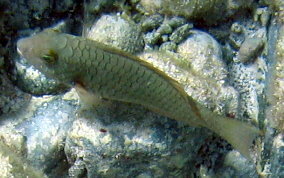 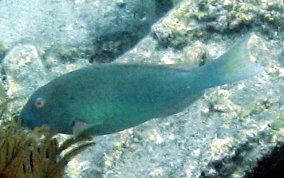 There are species of parrotfish that have phases of development almost identical to another. 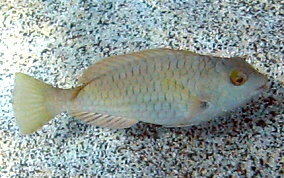 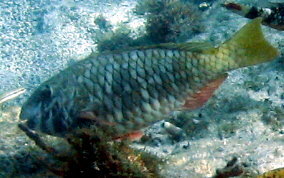 For instance, the Redfin/Yellowtail Parrotfish is almost impossible to tell from the Redtail Parrotfish when in the intermediate phase. 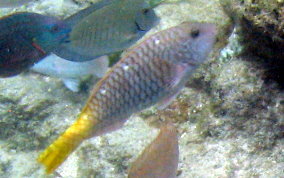 When in the terminal phase they are also hard to distinguish from a distance. 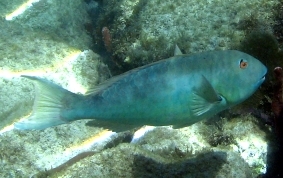 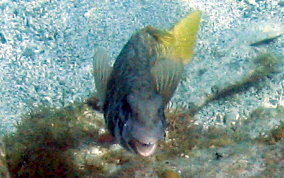 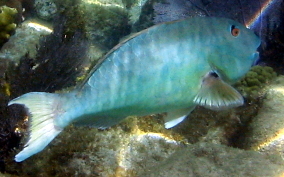 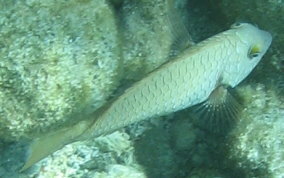 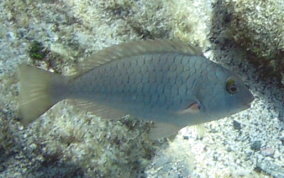 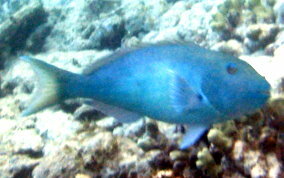 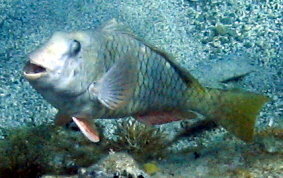 They are one of the larger parrotfish, growing to just over 1 foot in length. 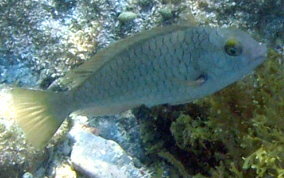 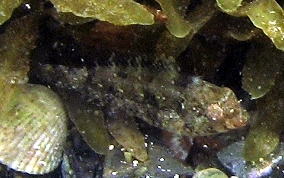 They are also very skittish and flee upon sight of you and always keep their distance.